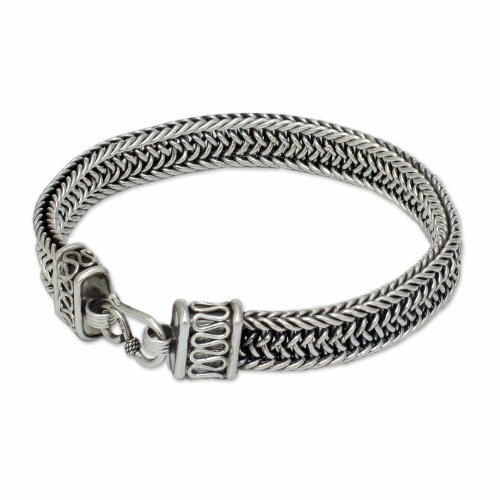 About this item: Threads of luminous silver are woven into the sleek design of this bracelet. From Thailand's Achara, the design recalls those worn by the gentlemen from the ancient kingdom of Lanna. Bracelet closes with a hook clasp. Bracelet measures 8.5" long in total length, and fits an 8" wrist.